If I were threatened with the destruction of the whole of my works save one, I should crave mercy for the Messe des morts. Why See San Francisco Symphony - Berlioz Requiem? Experience the tremendous power of 300 performers as the San Francisco Symphony, Chorus, Young Woman's Choral Project of San Francisco and the Golden Gate Men's Chorus come together to perform Berlioz's enduring and magnificent masterpiece. 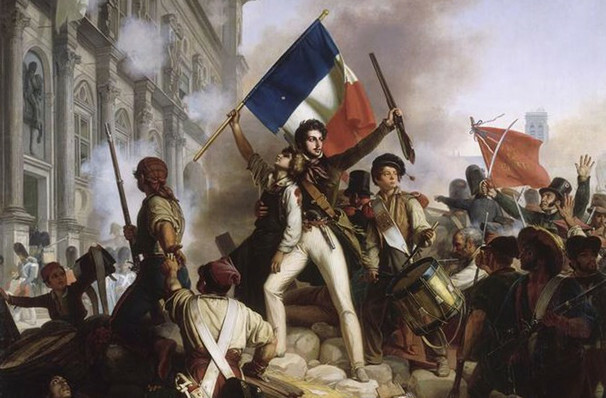 A grand exploration of the enigma of death and humanity's response, Requiem, otherwise known as The Grande Messes des morts, was commissioned in 1837 by the Minister for the Interior of France to commemorate the deaths of soldiers during the July Revolution of 1837. Keen to create a large-scale work, Belioz more than delivered with this passionate and monumental tribute. 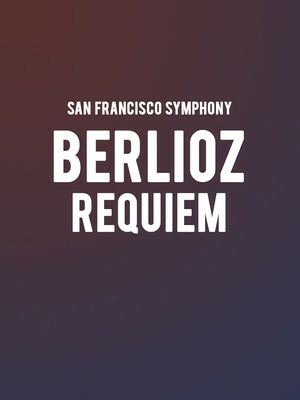 Seen San Francisco Symphony - Berlioz Requiem? Loved it? Hated it? Sound good to you? Share this page on social media and let your friends know about San Francisco Symphony - Berlioz Requiem at Davies Symphony Hall. Please note: The term Davies Symphony Hall and/or San Francisco Symphony - Berlioz Requiem as well as all associated graphics, logos, and/or other trademarks, tradenames or copyrights are the property of the Davies Symphony Hall and/or San Francisco Symphony - Berlioz Requiem and are used herein for factual descriptive purposes only. We are in no way associated with or authorized by the Davies Symphony Hall and/or San Francisco Symphony - Berlioz Requiem and neither that entity nor any of its affiliates have licensed or endorsed us to sell tickets, goods and or services in conjunction with their events.